Silk Mark is a quality assurance label and is used only on 100% natural silk products. The license for using Silk Mark is given after verifying the applicant for compliance of the requirements and surveillance is undertaken at regular intervals for adherence of terms and conditions set by SMOI. Each label can be traced to the respective Authorised User using an unique number placed on these labels. Silk Mark Labels in hang tag form are affixed on silk products at Authorised Users level using plastic thread with the help of Clothing Tag Gun, whereas the sew in labels are stitched to the product. The fusion label is a process similar to printing, wherein the labels are heat set on the silk product and the resultant printed image is placed on the product. The existing paper hang tag is transferable and therefore likely to be misused by unscrupulous trades/dealers. 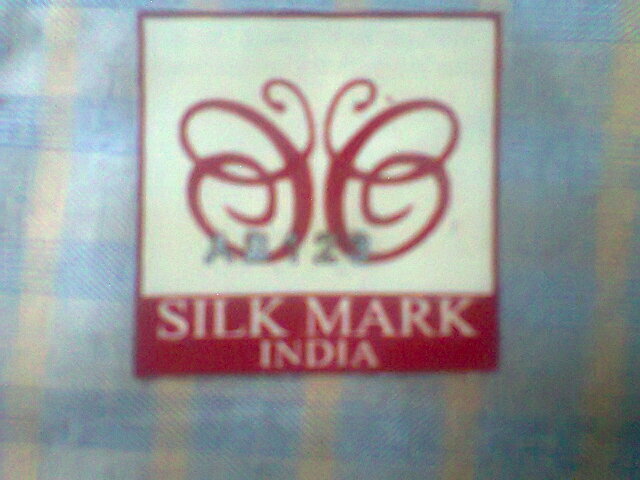 In the process silk consumers may get duped. Though this method has been in practice for last few years, there was a need to work out alternative method of labelling with improved security features and user friendly technique. 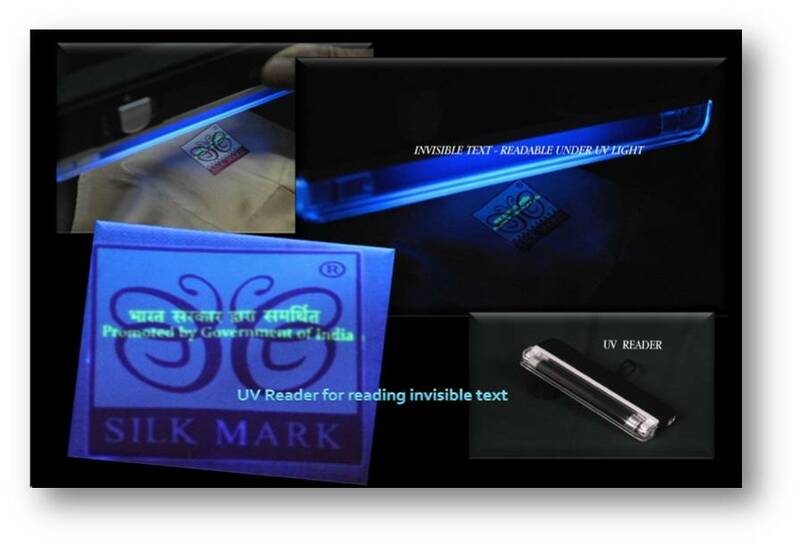 The new labelling system wherein Silk Mark labels can be fused on to the products can really boost the confidence of consumers in Silk Mark. The new system of labelling is a process, in which label is heat transferred on the product itself and can withstand 3 – 5 washes. This fusion feature eliminates the misuse like removal of label and using in other products or reusing the labels. This label also will have an unique number, a random generated using software programming, which the consumer can verify the veracity through sms or website. 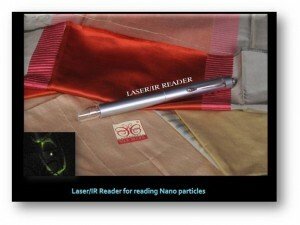 The label has unique nano markers, with codes in-built, which can be identified using infra red/ laser lights. These nano particles, with the unique code/signature are patented and proprietary property and available as exclusive rights to Silk Mark on legal agreement. Because of the high tech nature, exclusive patented technology and high cost of manufacturing, the system works as a good counterfeit solution. An independent, dedicated software has been developed to manage the inventory and there are other add-on features for the Authorised Users to manage their inventories using this system. We’re a group of volunteers and opening a brand new scheme in our community. Your site provided us with useful info to paintings on. You’ve performed a formidable activity and our entire group will probably be grateful to you. I just want to tell you that I am just very new to blogging and site-building and truly enjoyed you’re blog. More than likely I’m likely to bookmark your website . You definitely have really good articles and reviews. Thanks for revealing your blog. Thanks for any other excellent post. The place else may anyone get that type of information in such a perfect approach of writing? I have a presentation subsequent week, and I’m on the look for such info. Oh man. This site is cool! How can I make it look this good . Great goods from you, man. I have remember your stuff previous to and you’re simply too wonderful. I actually like what you have got here, certainly like what you’re saying and the best way through which you assert it. You’re making it entertaining and you continue to care for to keep it smart. I can’t wait to read much more from you. This is really a great web site. Oh man! This blog is awesome! How do you make it look like this ? I simply want to tell you that I’m beginner to blogging and site-building and certainly enjoyed your web blog. More than likely I’m likely to bookmark your blog . You actually come with good articles. Bless you for sharing with us your web-site. Really informative and excellent bodily structure of content , now that’s user genial (:. Some truly superb articles on this internet site, thanks for contribution. “Give me the splendid silent sun with all his beams full-dazzling.” by Walt Whitman. Thank you for the complement. No paid writing and I do it out of passion for the subject! Hello! I know this is kinda off topic however , I’d figured I’d ask. Would you be interested in trading links or maybe guest authoring a blog article or vice-versa? My site covers a lot of the same subjects as yours and I believe we could greatly benefit from each other. If you are interested feel free to send me an email. I look forward to hearing from you! Wonderful blog by the way! I found the information very interesting and useful. I’m extremely pleased to discover this site. I wanted to thank you for your time for this fantastic read!! I definitely liked every part of it and I have you bookmarked to see new things in your web site. to write content for you? I wouldn’t mind producing a post or elaborating on some of the subjects you write regarding here. It is really a nice and useful piece of info. I¡¦m satisfied that you shared this helpful information with us. Please stay us informed like this. Thank you for sharing. whoah this weblog is magnificent i love studying your posts. Keep up the great work! You know, many people are looking round for this info, you can help them greatly. Keep up the wonderful work , I read few blog posts on this internet site and I think that your weblog is rattling interesting and contains bands of superb info . Wonderful website. Plenty of useful info here. I am sending it to some buddies ans also sharing in delicious. And naturally, thanks in your sweat! This is a well thought out blog post. It’s well written and quite informative. If only other bloggers could provide submissions this great. Keep up the good work.